The Restless Heart Show brings rock and country collection of hits to audiences at the American Bandstand Theater in Branson. The group will perform a one night appearance here, so make plans to see the original band of five amazing artists. They are the guys who delighted audiences with songs such as “I’ll Still Be Loving You,” “Big Creams In A Small Town,” “When She Cries,” “Wheels,” “The Bluest Eyes In Texas,” and “Why Does It Have To Be Wrong Or Right.” Their music has been loved by their fans. They’ve gathered up nominations, including four Grammy nominations, and awarded Top Vocal Group honors by the Academy of Country Music. As one of country’s most successful groups, Restless Heart have been delivering incredible music for more than thirty years now, releasing a string of great country rock songs. The group have been nominated for several industry awards and have won many, including Cash Box Magazine’s Country Group of the Year, and the coveted trophy for the Academy of Country Music’s Top Vocal Group. These accolades can’t come close to how much they’re loved and admired. Their songs always remain fresh and carry the kind of messages that inspire country music fans. Everyone in the audience will always be thrilled to see them perform live. 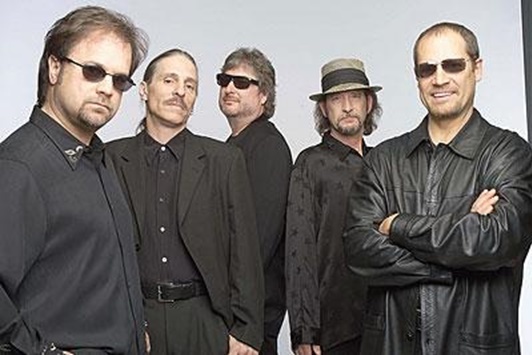 After many years, the original five members of the group are still together including lead singer, Larry Stewart, along with John Dittrich, Greg Jennings, Paul Gregg, and Dave Innis. The popularity of this brilliant group is still intact, although sharing their talents to a vast number of fans don’t come along every day. Their show at the American Bandstand Theater in Branson is your chance to experience one of the greatest country bands ever to grace the stage – Restless Heart Show will gonna rock audiences for sure. The group is also keeping busy using their success in music to help those less fortunate. In recent years, they have been restless about giving back to their community. The Nashville Rescue Mission has benefitted from the big hearts of “Restless Heart,” giving something to those sacrificing so much to serve our country. They’ve traveled the world doing tours with the Air Force and actively supporting our men and women in the Armed Forces, sharing the many blessings they’ve received from their success. The five amazing artists of Restless Heart Show at the American Bandstand Theater in Branson bring wholesome fun and great entertainment to audiences of all ages.